During London Fashion Week, which runs until Tuesday 17 September, Zatchels is knocking 20% off EVERYTHING purchased from its website. 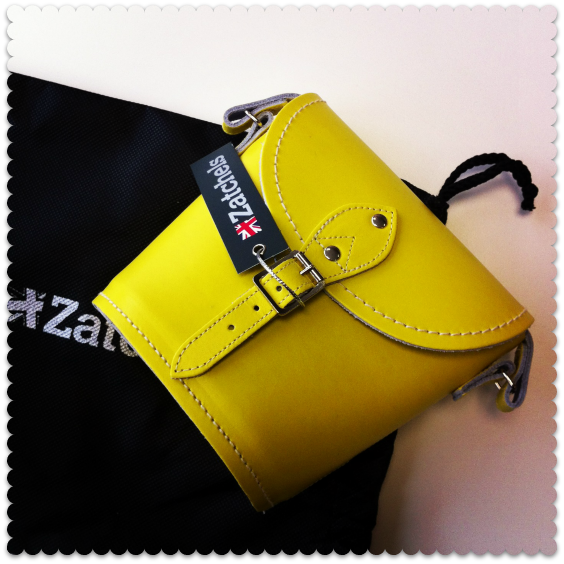 For those new to Zatchels: they make beautiful satchels from thick, coloured leather. If satchels aren’t your thing, the company also makes a range of other leather bags, ranging from small barrel bags for nights out, to buttery leather backpacks. Just choose your bag from the website and enter the code FASHIONWEEK at the checkout. I tote my red Zatchels satchel (below) everywhere I go. Last time Zatchels held a sale I bought a daffodil yellow barrel bag (above). It’s a small bag, but the perfect size for me when I go out: I can fit my phone, keys, purse and lip balm in there. In the half-price sale the barrel bags were reduced from £50 to £25; this time around, they are reduced from £50 to £40, which is still a good cut. 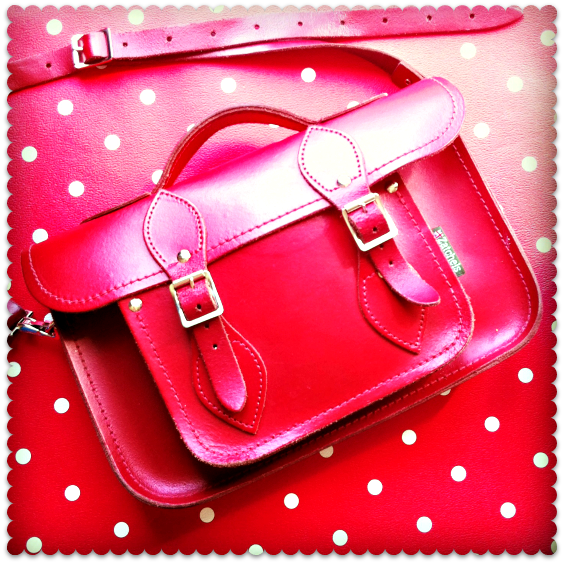 I also splurged on a neon pink saddle bag, but I haven’t pictured it here because the colour would blind you. It’s awesome. I have it packed away neatly in its dust bag at the back of the wardrobe, all ready for when the satchel gives up the ghost – but to be honest, that isn’t going to be for ages. It’s good quality leather. These bags are built to last. What I’m saying, in a roundabout way I guess, is that I’m a Zatchels fan. The bags aren’t cheap, but the discount goes a long way – and if you want a bag that will live forever (or at least for a very long time) the Zatchels bags are well worth the money. A final note, for your info: last time Zatchels held a sale, they were flooded with orders and some people complained that their orders took a while to arrive. My barrel bag arrived within days; my saddle bag went AWOL. When I emailed Zatchels about this, however, they were very nice and apologetic, and my saddle bag came within days. I bought a lovely grey satchel from Zatchels when they had their last offer of 50% which I saw on your blog. It is a beauty. I must admit I haven’t actually used it yet as I’ve been using a different bag I bought shortly before elsewhere, but I am hoping to get it out of it’s dustbag and use it this winter. I would recommend them to anyone in terms of quality for definite.